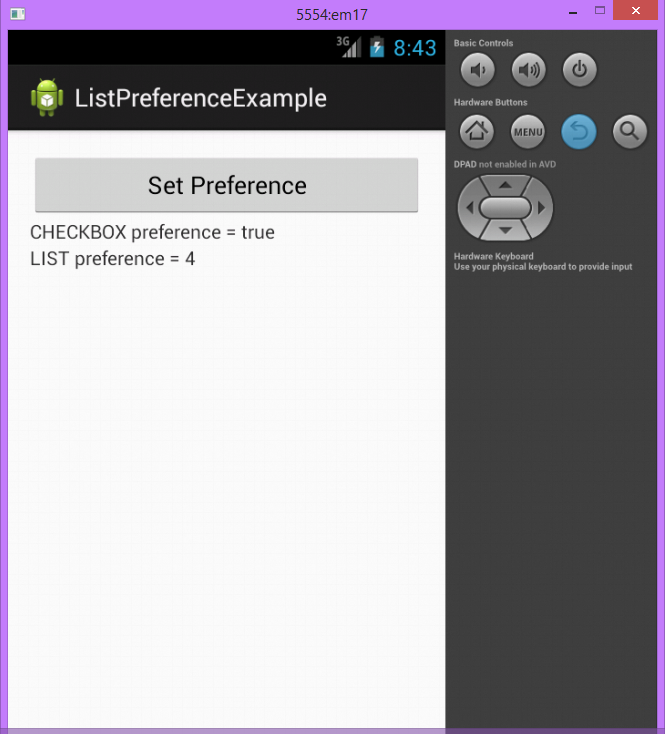 This example shows how you can use list preference in android. 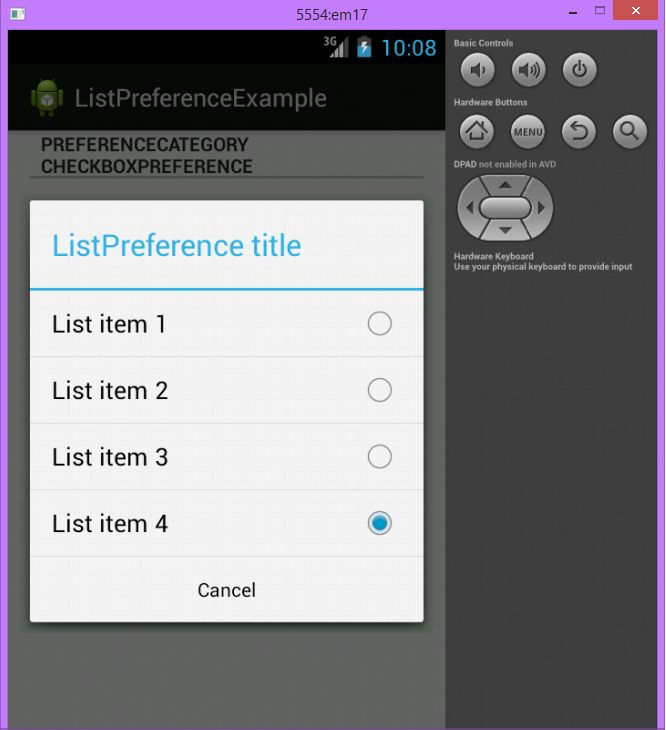 ListPreference A Preference that displays a list of entries as a dialog. 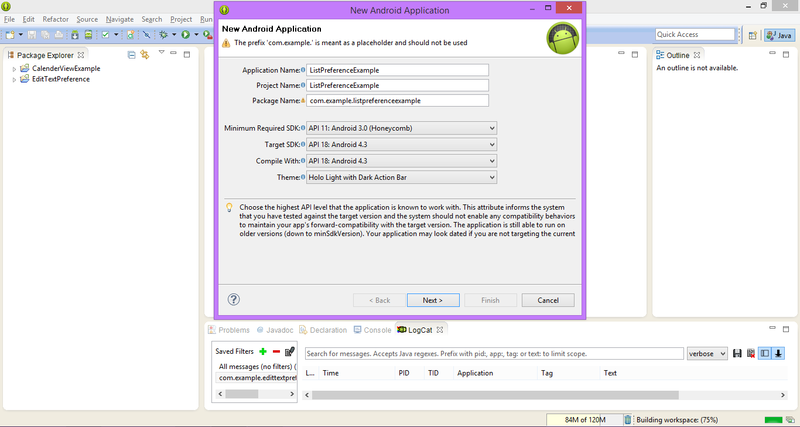 This preference will store a string into the SharedPreferences. 1.) 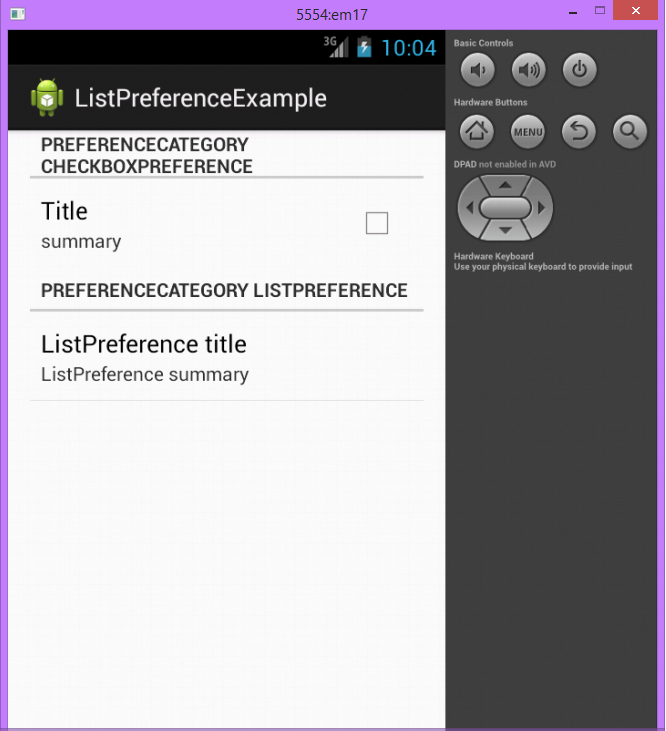 Create a new project by File-> New -> Android Project name it ListPreferenceExample. 5.) 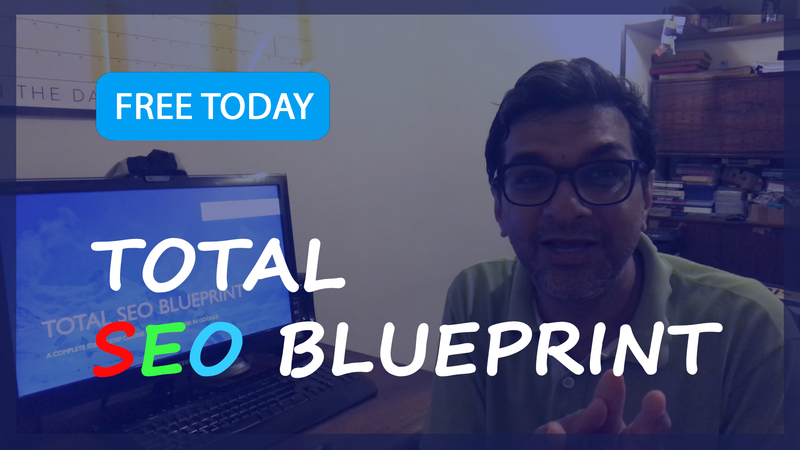 Add following activity to your manifest. 1.) Create a project named ListPreferenceExample and set the information as stated in the image.